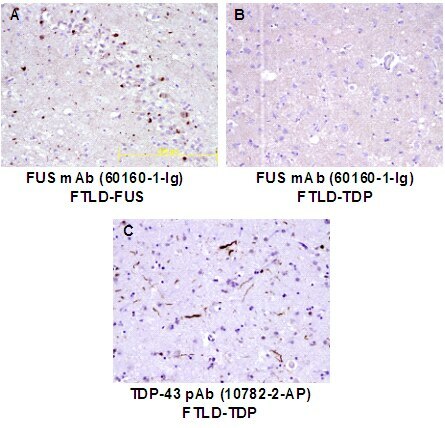 IF result of McAB FUS(60160-1-Ig) in the Paper "FET proteins TAF15 and EWS are selective markers that distinguish FTLD with FUS pathology from amyotrophic lateral sclerosis with FUS mutations" from Manuela Neumann. 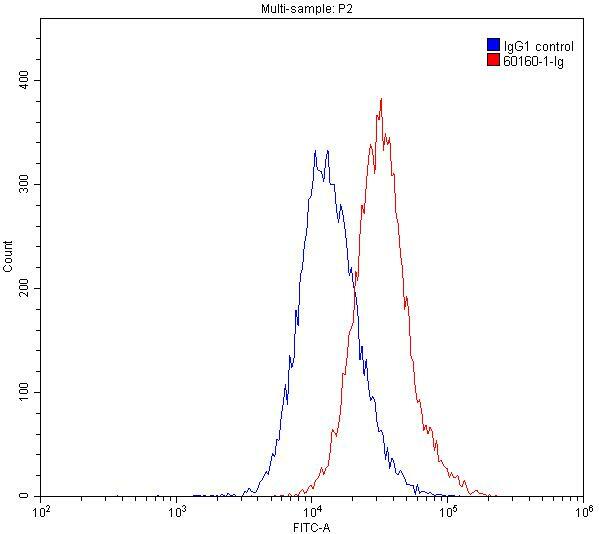 IP Result of anti-FUS/TLS (IP:60160-1-Ig, 4ug; Detection:60160-1-Ig 1:10000) with HeLa cells lysate 920ug. 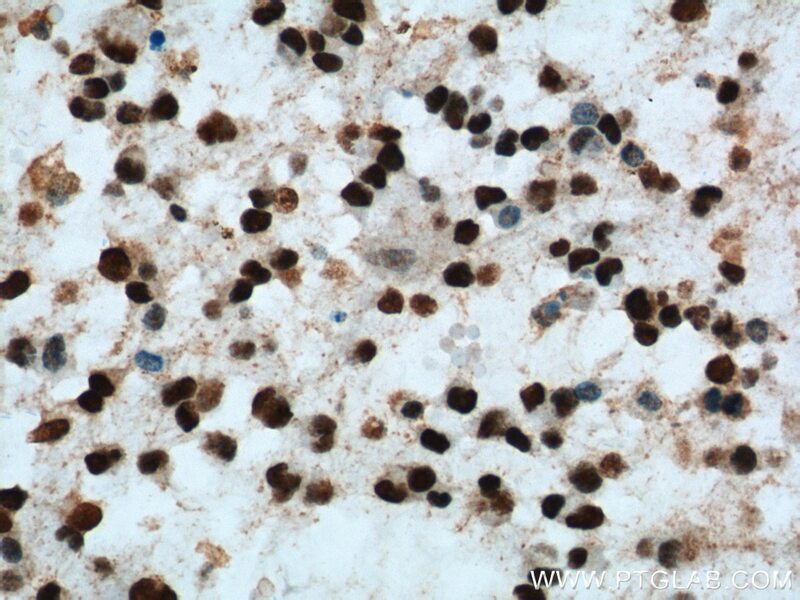 Immunohistochemical analysis of paraffin-embedded human gliomas tissue slide using 60160-1-Ig( FUS/TLS Antibody) at dilution of 1:1000 (under 40x lens). heat mediated antigen retrieved with Tris-EDTA buffer(pH9). FUS (also named TLS and POMp75) belongs to the RRM TET family. FUS may play a role in the maintenance of genomic integrity; it binds both single-stranded and double-stranded DNA and promotes ATP-independent annealing of complementary single-stranded DNAs and D-loop formation in superhelical double-stranded DNA. FUS is also an RNA-binding protein, and its links to neurodegenerative disease proffer the intriguing possibility that altered RNA metabolism or RNA processing may underlie or contribute to neuron degeneration. 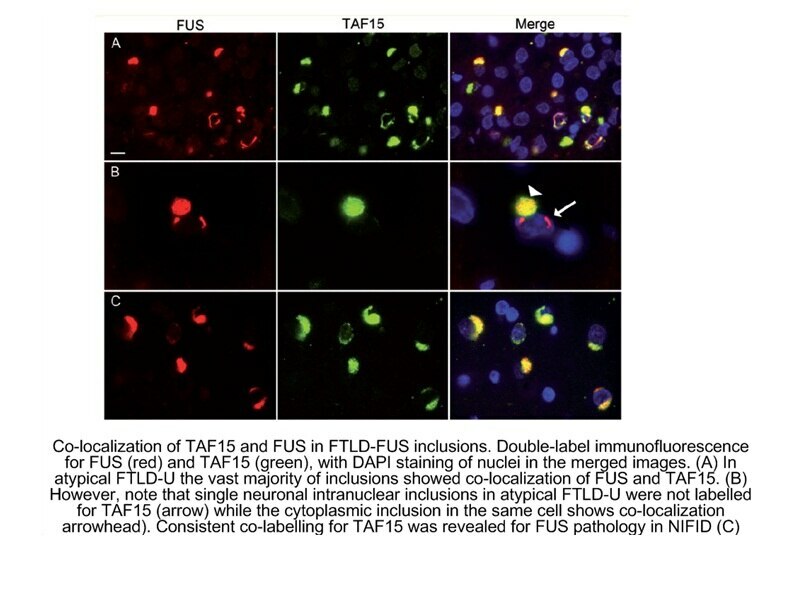 Two research groups simultaneously reported that FUS is present in 5% of the pathalogical aggregations (inclusions) seen in familial amyotrophic sclerosis (fALS). 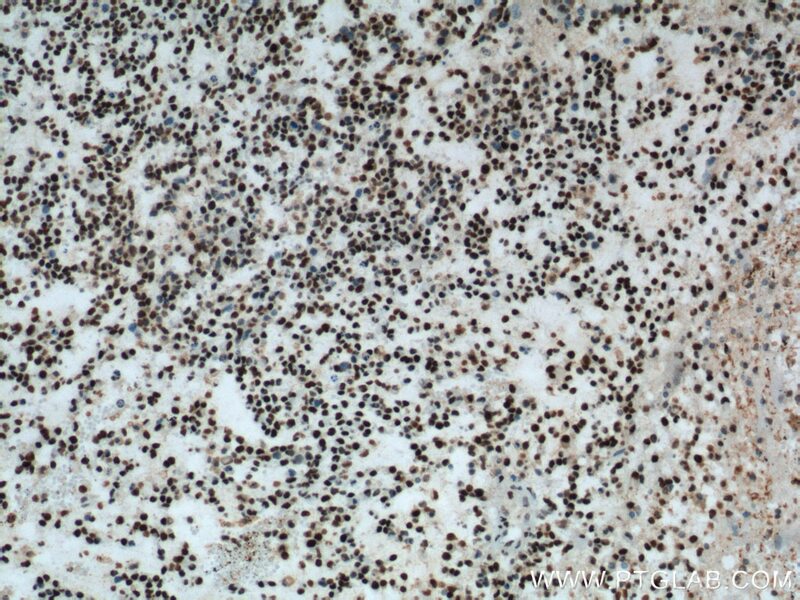 FUS-positive inclusions were also reported in cases of sporadic ALS (sALS). 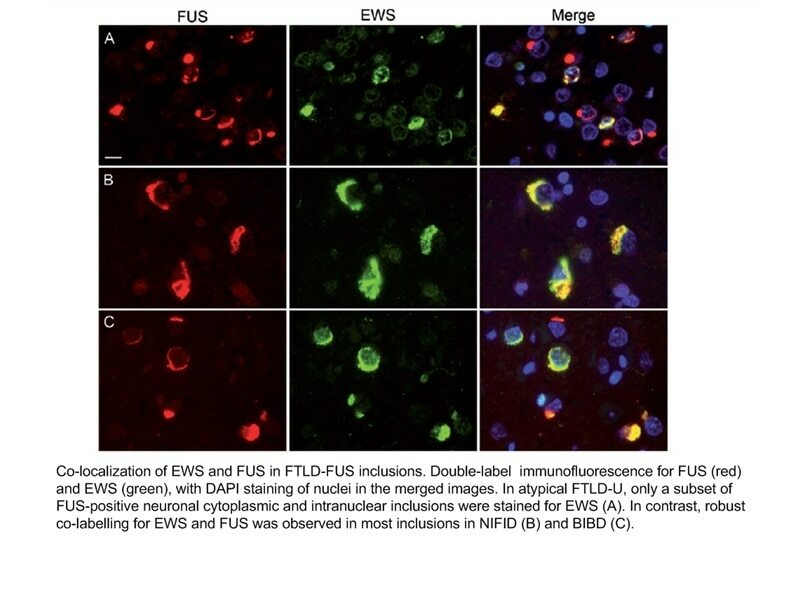 More recently, wild-type FUS has also been implicated in the pathological development of frototemporal lobar dementia (FTLD) with ubiquitin-positive inclusions (FTLD-U), further linking FUS to the pathogenesis of neurogenerative diseases. There is some debate as to whether FUS colocalizes with TDP-43 in TDP-43-positive cases of ALS and whether TDP-43 and FUS cause neurodegenerative disease independently or contributively of one another. 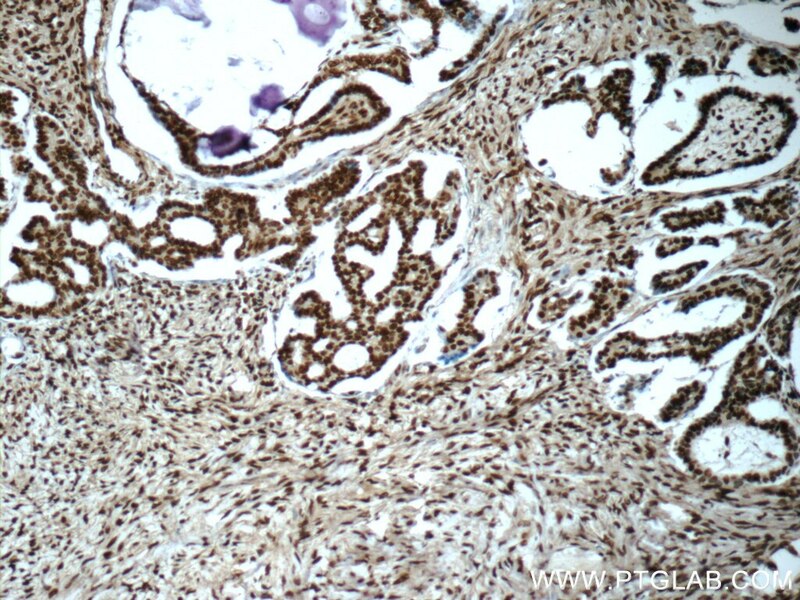 This antibody is a mouse monoclonal antibody raised against an internal region of human FUS. 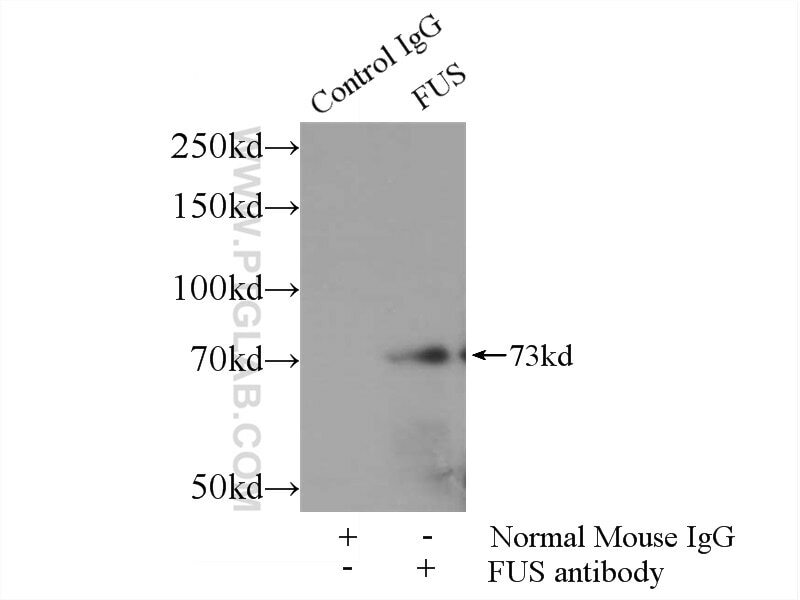 Initial reports from our customers suggest this new monoclonal FUS antibody (60160-1-Ig) is a useful tool in ALS and FTLD research. For more details, please see our blog article regarding the matter. Hu Antigen R (HuR) is a Positive Regulator of RNA Binding Proteins TDP-43 and FUS/TLS: Implications for Amyotrophic Lateral Sclerosis. FUS Interacts with HSP60 to Promote Mitochondrial Damage. A Novel Missense Mutation of CMT2P Alters Transcription Machinery. PINK1 and Parkin are genetic modifiers for FUS-induced neurodegeneration. Motor neuron degeneration in spastic paraplegia 11 mimics amyotrophic lateral sclerosis lesions. 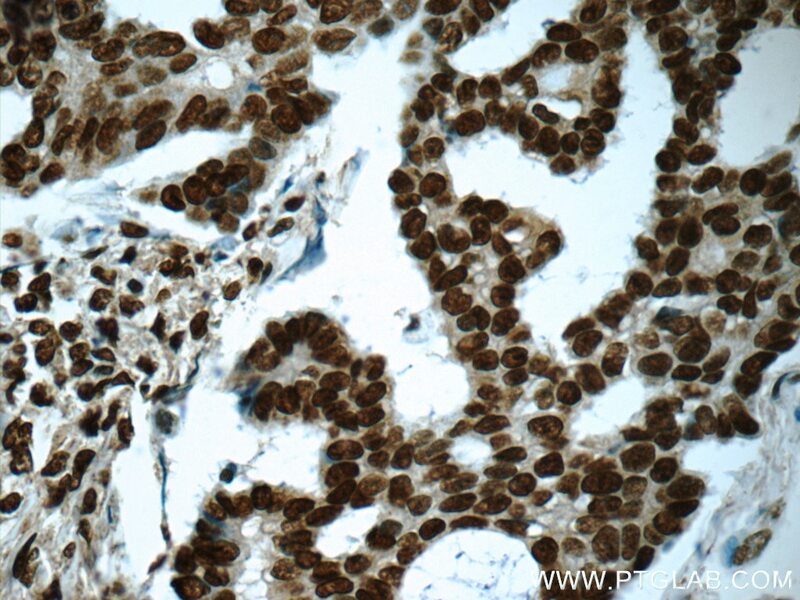 IHC result of Monoclonal FUS antibody(60160-1-Ig) from Dr. Linda Kwong. 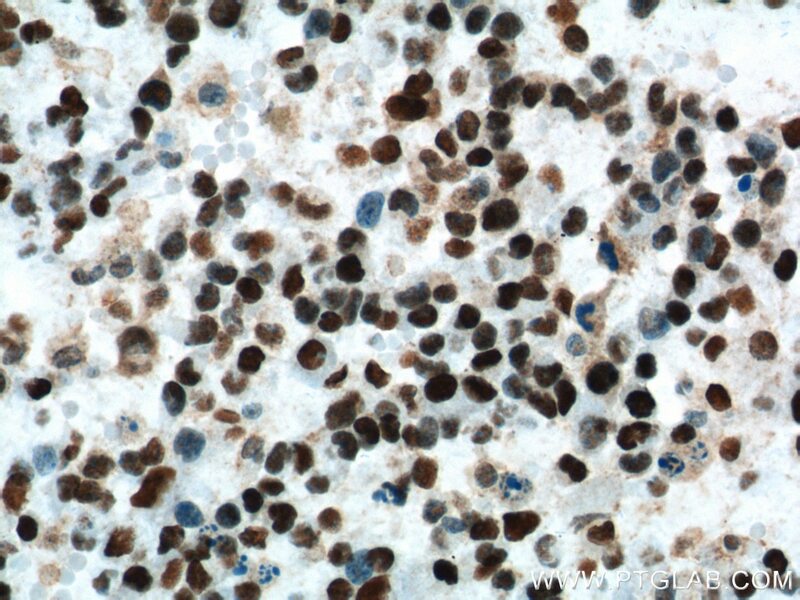 Immunohistochemical analysis of paraffin-embedded human gliomas tissue slide using 60160-1-Ig( FUS/TLS Antibody) at dilution of 1:500 (under 10x lens). heat mediated antigen retrieved with Tris-EDTA buffer(pH9). 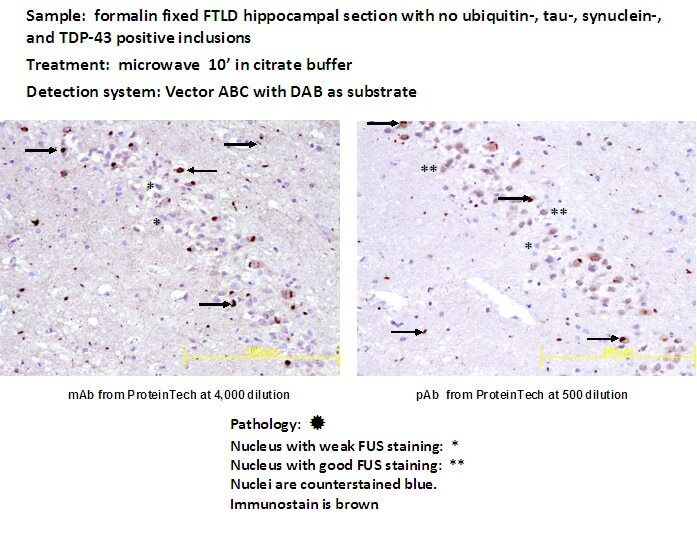 Immunohistochemical analysis of paraffin-embedded human gliomas tissue slide using 60160-1-Ig( FUS/TLS Antibody) at dilution of 1:500 (under 40x lens). heat mediated antigen retrieved with Tris-EDTA buffer(pH9). 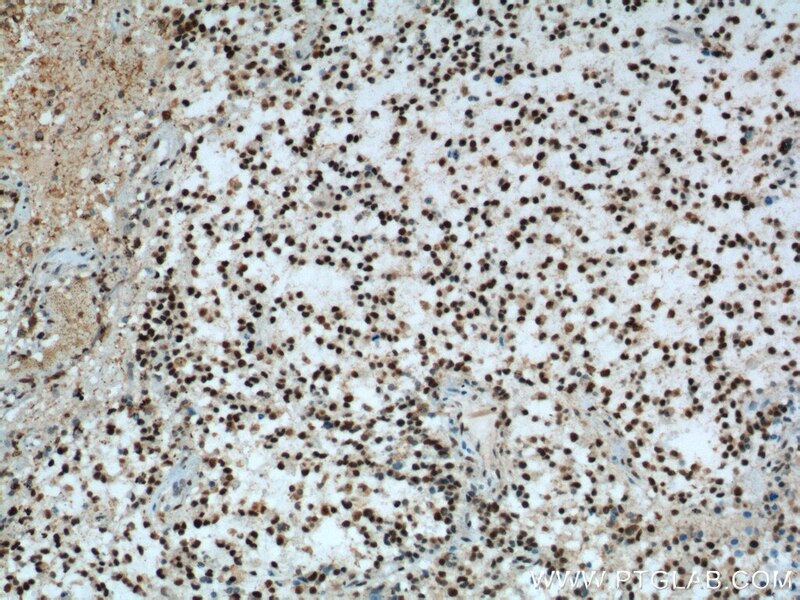 Immunohistochemical analysis of paraffin-embedded human gliomas tissue slide using 60160-1-Ig( FUS/TLS Antibody) at dilution of 1:1000 (under 10x lens). heat mediated antigen retrieved with Tris-EDTA buffer(pH9).